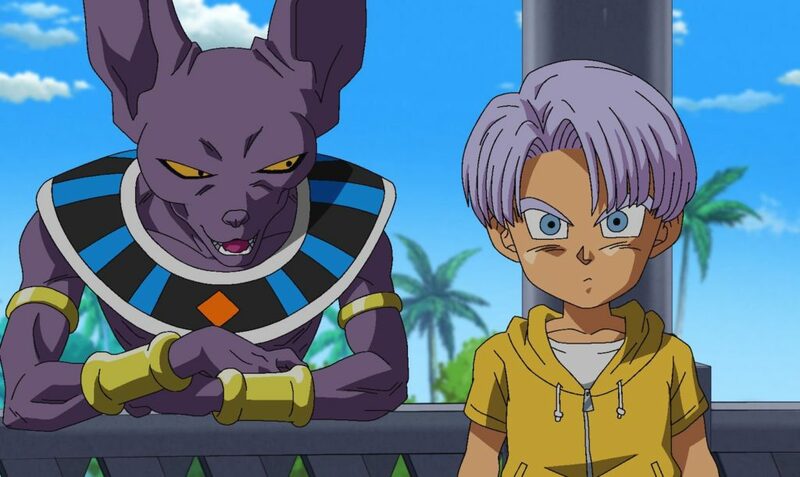 Dragon Ball Super Part 4 contains Episodes 40 to 52, and as is tradition, opens with the big climax of the arc that started on the previous set. Episode 40 shows how the finals of the Universe 7 vs. 6 tournament turn out, including the final showdown between Goku and the top hitman known as Hit. 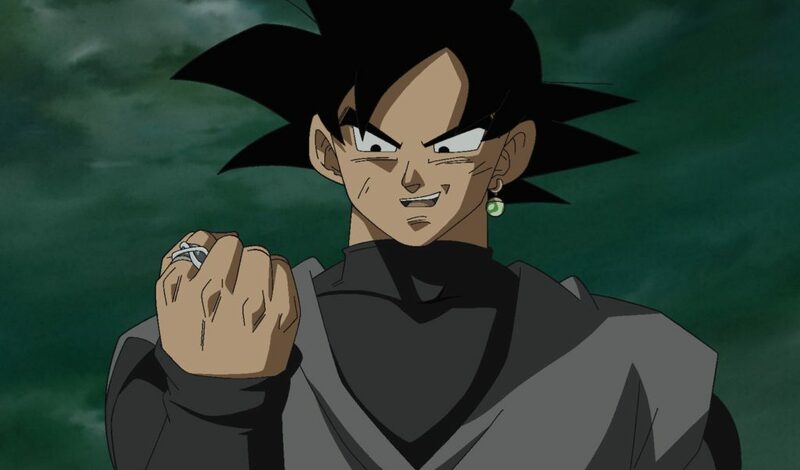 Once that (and Episode 41 featuring the summoning of the impossibly, unfathomably large Super Shenron) is over we get what would often be called “filler”, except that Super isn’t adapting anything other than rough bullet point plots from Toriyama, so Toei instead decided to create some more light-hearted episodes as a cool-down between the stories, I guess. Maybe it’s just old habits dying hard! The animation is a marked improvement as we head into the new arc, though still has some wonky moments, especially if characters are just in the background of scenes or far away. 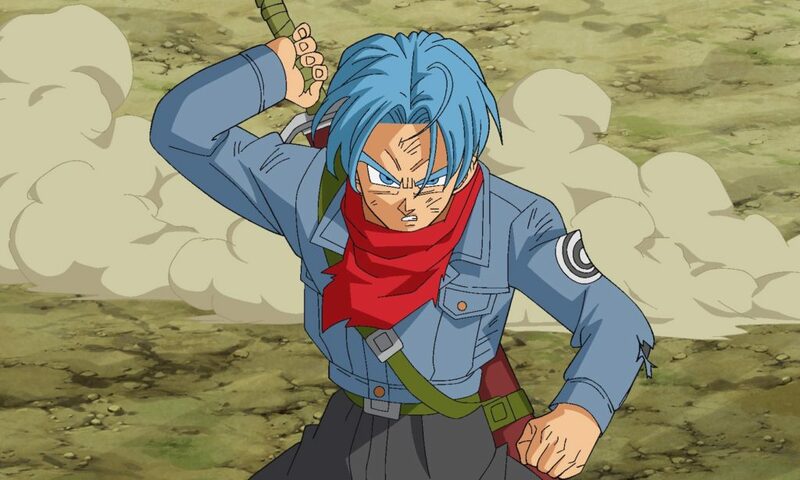 The soundtrack takes a more serious turn for the Future Trunks arc, including replacing the cheerful instrumental versions of the opening and of “Cha-la Head Cha-la” and replacing them with something a bit more fitting in tone. “Chōzetsu☆Dynamic!” by Kazuya Yoshii continues to be our opening theme, and once again changes some of the visuals to match the new story arc. The ending theme for Episodes 40 to 49 is still “Forever Dreaming” by Czecho No Republic, then switches to the extremely and obnoxiously over-cute “Yokayoka Dance” by Batten Showjo Tai for the last three episodes of the set. The extras are your usual assortment of clean openings and endings, trailers, plus an interview with Sean Schemmel. Dragon Ball hits the big screens as Dragon Ball Super: Broly starts showing in select cinemas this week, and boy is there a lot to talk about, from rewriting the very origins of the series to adding fan favourite character Broly into the canon proper! Let’s take a look at big budget Dragon Ball! 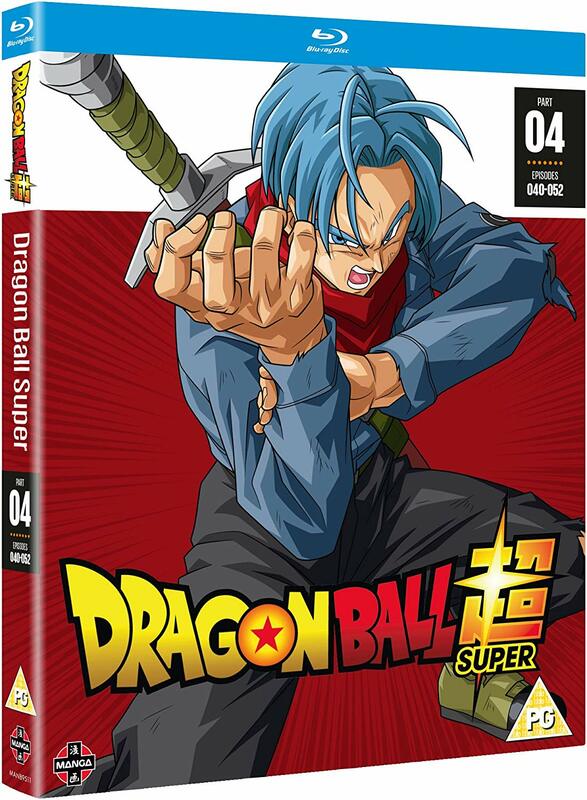 Dragon Ball Super has been made available to UK streamers on Crunchyroll, with all 91 episodes of the still on-going Shonen Jump favourite being listed. Previously, it had only been available to the UK via Daisuki, but it’s now looking like Crunchyroll have been allowed to quietly add the UK to their own Dragon Ball Super streaming service. Broly is Back! Manga UK confirms January 2019 theatrical release for Dragon Ball Super: Broly anime feature film.